The picture features a lavish three-layer birthday cake with lit candles on top. 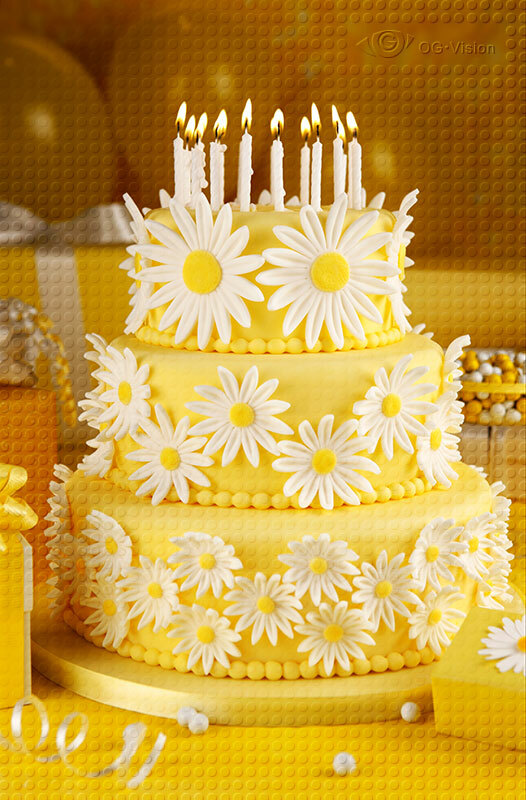 The cake is coated with yellow fondant and decorated with edible white daisy flowers. On the background you see wrapped present boxes, balloons, candies – all yellow with white accents. 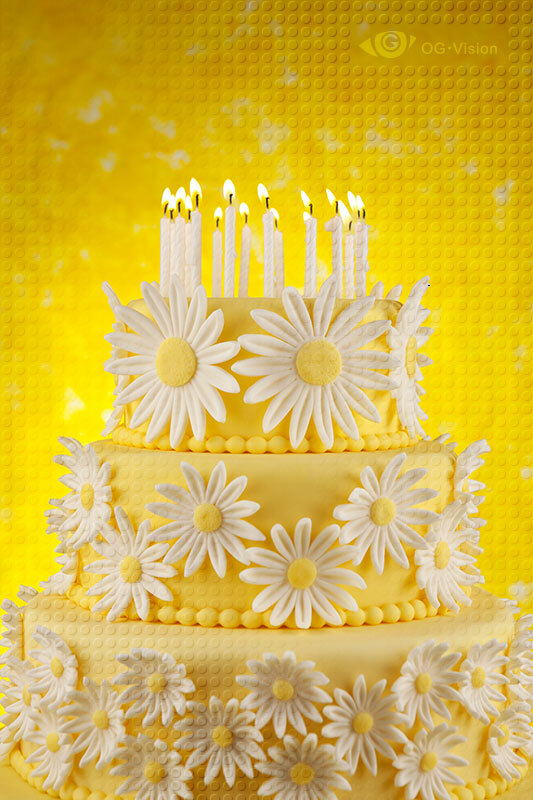 The cake like this will bring summer and sun to your birthday party even on a cold winter day! The image was intended as a Birthday card, but could also be used for confection store posters or catering service ads. Filed under Dessert, Food. 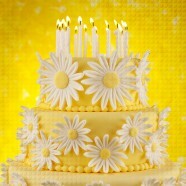 Tagged birthday, cake, candle, daisy, fondant, sweets, white, yellow.